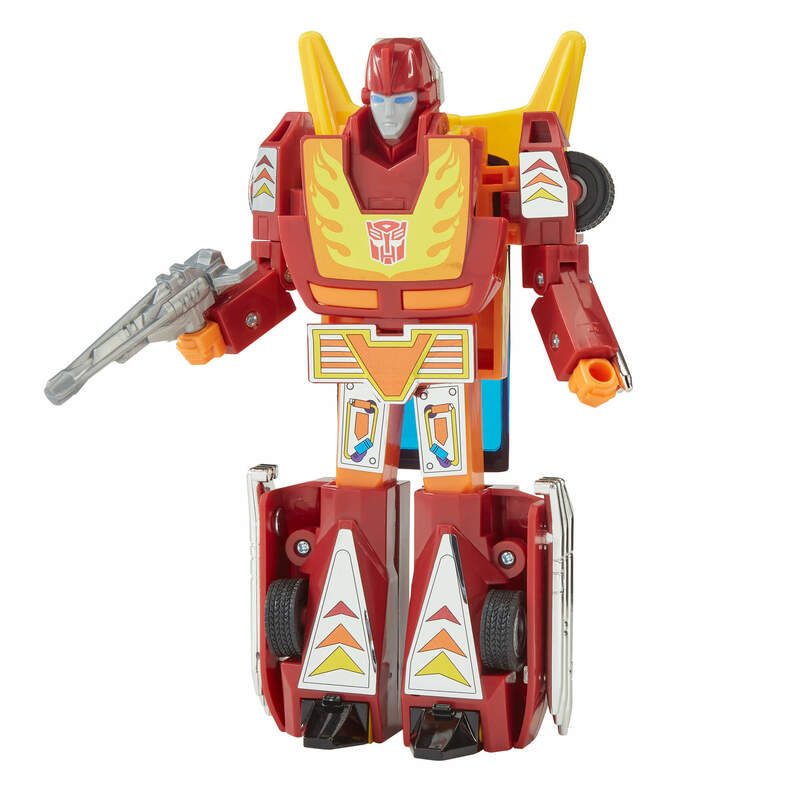 Transformers Vintage G1 Reissue Hot Rod Toy is a Walmart exclusive released in May 2018. 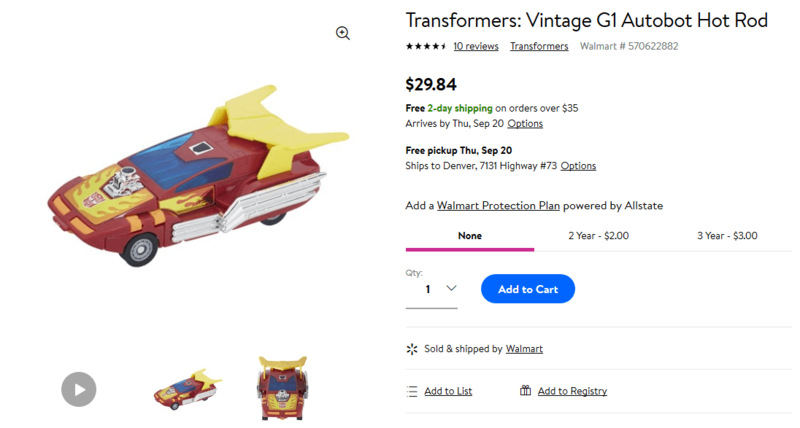 It’s very hard to find in stores so your best chance of owning it is buying online on Walmart.com. They sell out quick so be sure to order if it’s in stock. At a retail price of $29.84, it’s a steal! The packaging, including graphics and box shape, is based on the original G1 package design. The classic 80s Transformers logo features the words Heroic Autobot written on it. The Hasbro logo is classic too with two children inside of a house with the brand “Hasbro” under them. This really feels a replica of vintage Transformers box that we know and love. 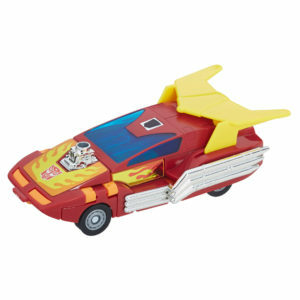 Both the vehicle and robot mode are almost exact reproductions of the original, which still looks awesome 30 years later. 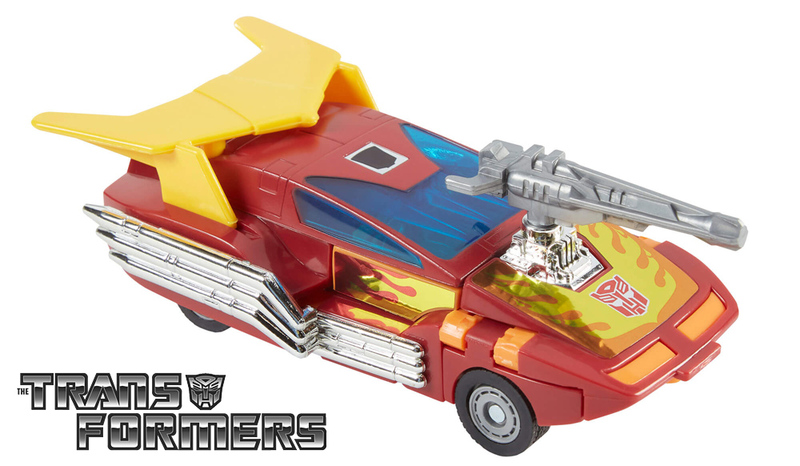 The Autobot Cavalier is a deep red sleek, sci-fi looking car and robot, definitely one of the less blocky Transformers toys from the G1 era. It is a world of constant change, where things are not what they seem. 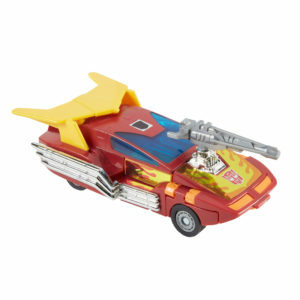 It is the world of the Transformers… a world of Heroic Autobots and Evil Decepticons! Experience the figures that started it all. 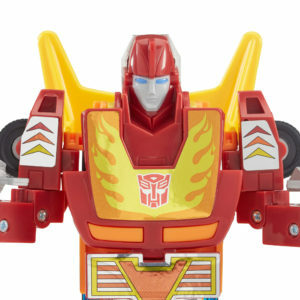 This Transformers: Vintage G1 Autobot Hot Rod figure is designed like the original G1 version — including figure styling, packaging, and art inspired by the 1986 G1 release, plus classic tech specs and accessories. 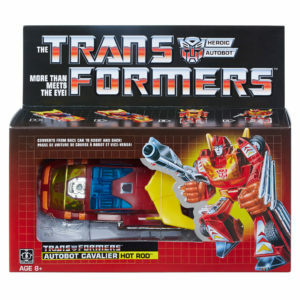 (Re)start a vintage Transformers collection with this Autobot Hot Rod figure. Autobot Hot Rod is an all-American-boy Autobot. He’s a typical adolescent who dreams of being heroic and important. He tends to follow rules too closely, and his impulsive actions often get him into trouble. 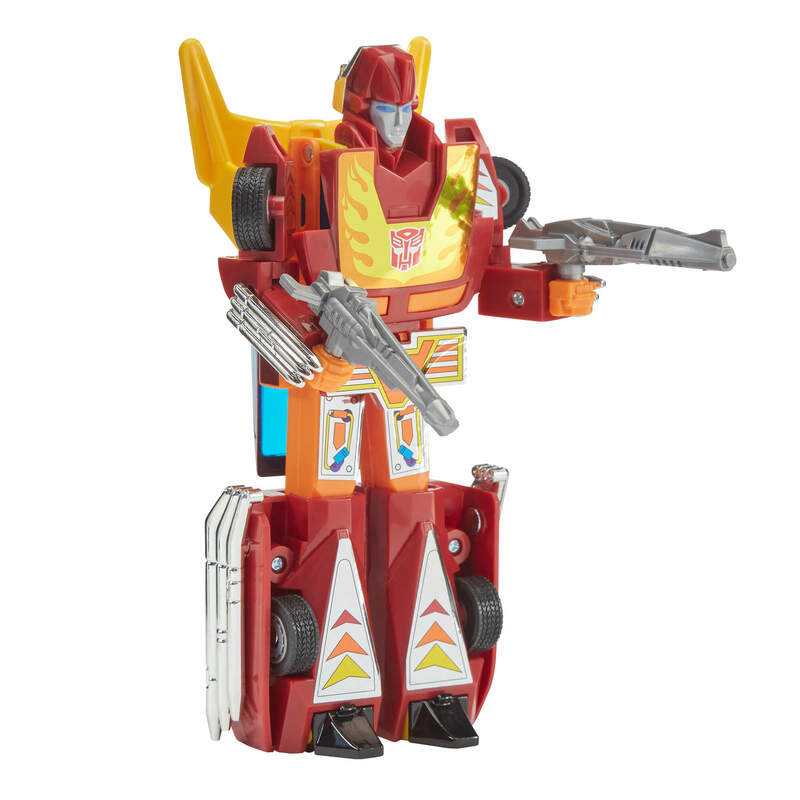 He carries 2 photon lasers that temporarily electromagnetize an enemy robot’s microcircuits. 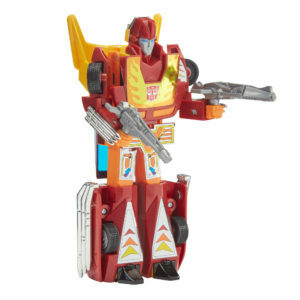 This Autobot Hot Rod figure comes with photon laser cannons and converts between racecar and robot modes in 6 steps. Clip out and save the on-box tech specs to share, then see how this figure compares to other heroic Autobots and evil Decepticons (each sold separately).